Even if the invitations to your child’s Best LEGO Birthday Party included a specific timeframe– say, 11 AM to 1 PM– your guests will probably arrive at different times and depart at different times. Some kids may be dropped off early– how will you welcome and entertain them? And at the end of the party, how will you keep guests busy and happy while they wait to be picked up? Playparty.net has a suggestion: Offer a LEGO-theme craft or game. Activities such as the following will amuse the kids during your party’s transition periods. 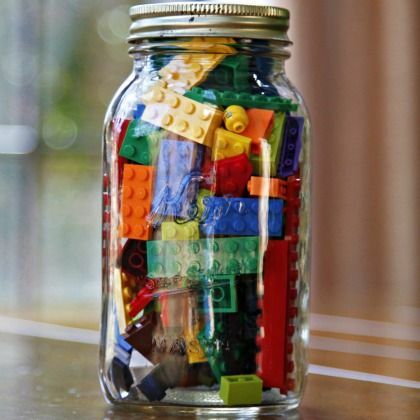 Holly Homer filled a Mason jar with colorful LEGO bricks. Each child guessed how many LEGO bricks were in the jar. The child whose guess came closest to the correct number was the winner. 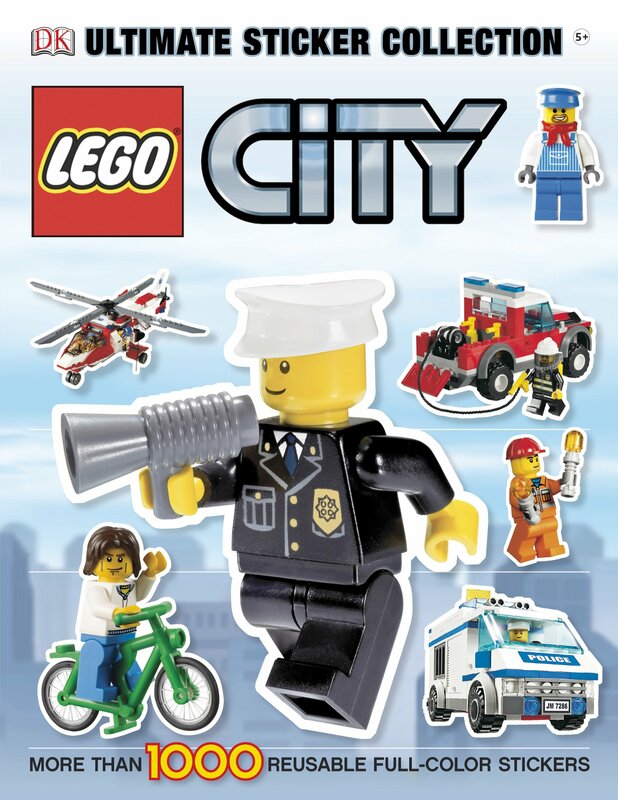 If you’d like to have prizes, the DK LEGO City Ultimate Sticker Collection has hundreds of stickers including LEGO mini-figs, animals, boats, planes and trucks. Cut out an assortment of stickers and put them into individual packages to make fun, economical prizes. Eagle-eyed youngsters will enjoy playing “I Spy the LEGO Guy” by Delia Creates. 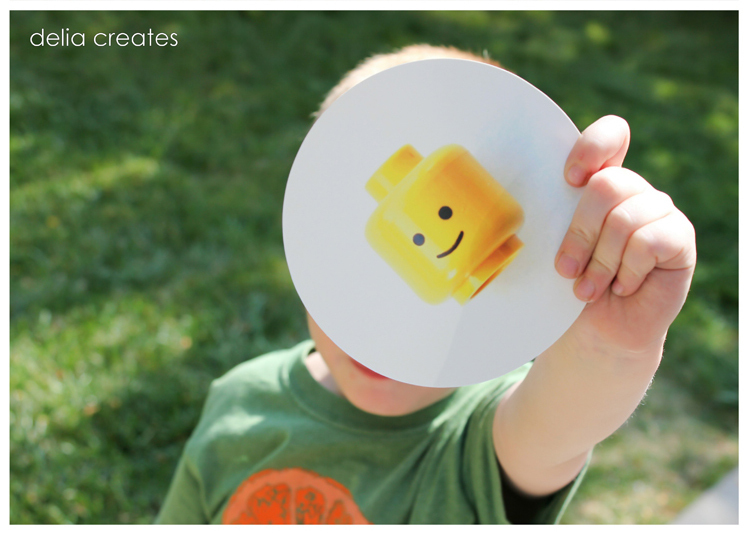 Print images of LEGO heads on glossy card stock and hide the cards around the party area. Then set the kids loose. 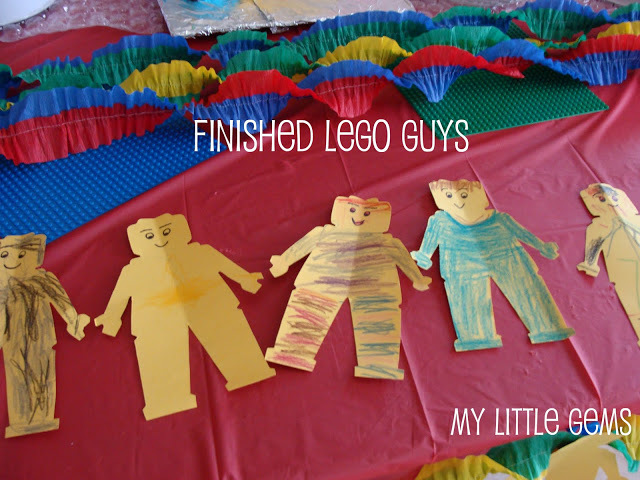 Sharla of My Little Gems used the Zakka Lifekirigami template to make individual LEGO guys. She set up a “Design a LEGO Guy” table with lots of crayons and let the kids draw to their hearts’ content. Everyone had a blast! 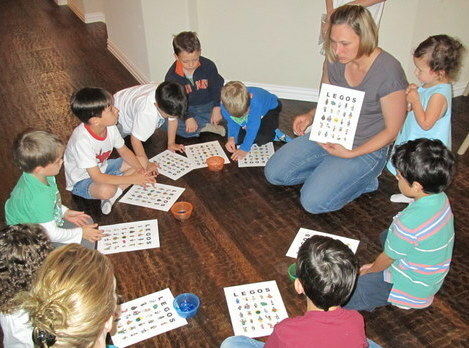 LEGO Bingo is another popular game. 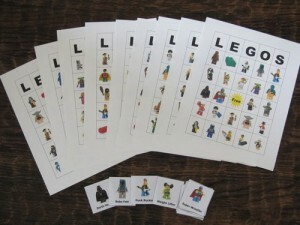 Jennifer of Big D and Me created a template with 42 LEGO mini-fig call cards and 9 Bingo boards. Come back soon for Ultimate Race Car Birthday Party ideas from playparty.net.